With the holiday shopping season now safely behind us, some of our thoughts and concerns may turn to our finances. Besides over-eating and running up the credit cards, an all too familiar negative aspect of the holiday season seems to be identity theft. Many of us, myself included, believed that if we were careful with shredding documents, safeguarding passwords and being careful about giving our social security number out, we should be reasonably safe from identity theft and fraudulent charges on our accounts. On black Friday, forty million Target customers had their data stolen by hackers, through no fault of the victims. The stolen data included customer names, card numbers, expiration dates and the CVV codes – pretty much everything a thief needs to make unauthorized charges. More sophisticated thieves can create new debit and credit cards from the information. 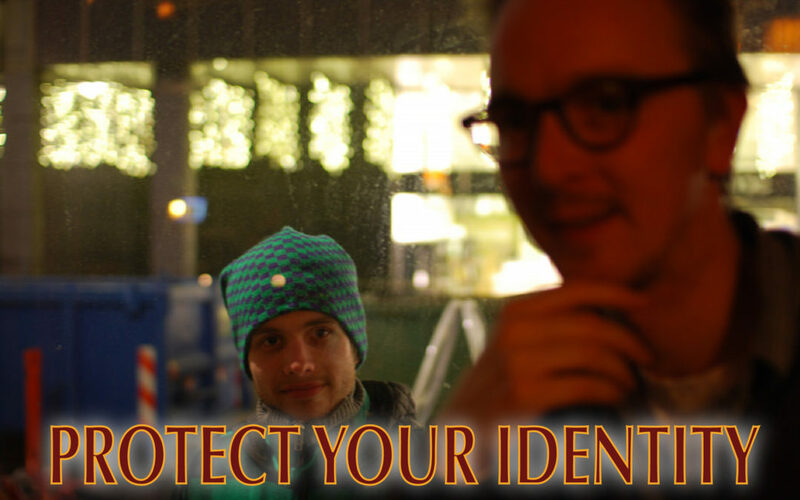 What can one do to prevent identity theft or minimize the exposure to risk? The more common methods are still valid and should be followed. Any document with sensitive information should be shredded. If you are comfortable with electronic documents and are careful with their storage, they can provide more security and convenient access in addition to saving trees. If anybody requests your social security number, be sure you understand why they need it and what they will do with it. Only access online accounts from trusted computers and devices. Be especially cautious about using portable devices to store and access sensitive information. Many can be easily hacked, while others do not even need to be hacked as many people do not password protect their devices. Debit cards pose a special threat that should be discussed separately. Many people do not realize that they offer significantly less protection than credit cards do. Yes, they are convenient and can help prevent run away credit card debt. Credit card users are not liable for more than $50 in fraudulent charges, provided the consumer reports lost or stolen cards promptly. Most banks and lenders will even pick up the $50 as a service to their customers. Debit cards, on the other hand, could expose the consumer to $500 or more of risk. To add insult to injury, the banks will often not credit anything until they investigate. As most of us pay our mortgage payments, rent and car payments out of the same account that is connected to our debit cards, this could cause real trouble. For your day-to-day purchases, consider using a credit card. If you do not have the creditworthiness to obtain one, consider getting a pre-paid card. And if that’s not a possibility, consider keeping bill money in a separate account, such as a savings account, until you’re ready to pay bills. Another important step to take is to be aware of the activity in your account. There are endless ways of doing this. Many simply make it a habit to log in to their online account regularly. That, of course works, but can be time consuming, especially if you have many accounts. There are automated ways to keep an eye on your account, some free, some not. Intuit’s Quicken can keep itself updated even when you’re not using the software. There are apps and widgets included with Quicken that make it a snap to see what is going on across all of your accounts. Of course, make sure any device that uses these services are password protected and use any optional security the software allows you to use. There are free options available as well, such as mint.com. Finally, what should be done if you do detect fraudulent activity? The first thing is to contact the financial institutions and either verify the account is secure or change accounts and/or cards. The next thing is to check your credit report for any fraudulent activity – something that should be done periodically, anyway. You can receive free credit reports from all 3 bureaus at annualcreditreport.com. There are also a multitude of various credit monitoring services and ID theft companies that may prove valuable. While our modern age has provided countless conveniences and tools, it has also created new responsibilities and risks. By being aware of how to properly handle sensitive financial issues, significant difficulties and hardships can be avoided. The above article is intended to provide generalized financial information designed to educate a broad segment of the public; it does not give personalized tax, investment, legal or other business and professional advice. Before taking any action, you should always seek the assistance of a professional who knows your particular situation for advice on your taxes, your investments, the law or any other business and professional matters that affect you and/or your business.